#NoStoppingTheHungry: Is #SufferusInExtremis Coming For The YOLO Twins? - Smark Henry | The voice of Filipino wrestling fans | Philippine Wrestling Revolution, WWE, and more #NoStoppingTheHungry: Is #SufferusInExtremis Coming For The YOLO Twins? #NoStoppingTheHungry: Is #SufferusInExtremis Coming For The YOLO Twins? Of the tag matches taking place this Sunday, this particular match has all the makings of an international incident that could define the tag team scene in 2018. The Philippine Wrestling Revolution has seen its fair share of international stars tango with its homegrown talent over the years, indicating how healthy the pro wrestling scene is in South East Asia and, effectively, the rest of the world. From Bombay Suarez winning the Malaysia Pro-Wrestling (MyPW) Extreme Championship and Crystal competing for the Queen of Asia Championship in Singapore Pro Wrestling (SPW), to Western stars like Koto Hiro and Billy Suede making their mark in PWR, the international pro wrestling circles continue to collapse together in a big way. 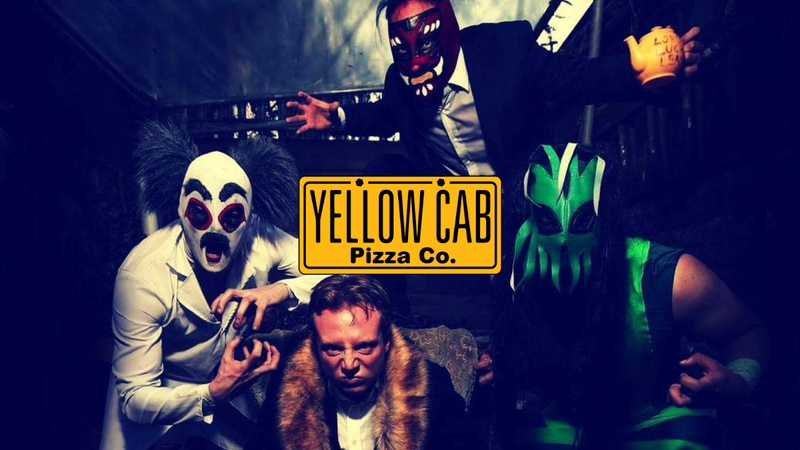 And thankfully for us Philippine wrestling fans, Vendetta this Sunday will continue its wave of international momentum as the first ever PWR Tag Team Champions, the YOLO Twins (Yohann and Logan Ollores), will be taking on London Lucha League representatives, Dr. Hertz and Tengu, part of the Tarquin's Regime faction. While the tag titles will not be featured in this world-class encounter (that's a story for another match), the stakes have never been higher when it comes to tag team pride and supremacy. For that matter, this match may very well affect the landscape of the tag division as we move on to 2018. The YOLO Twins will tell you first-hand ten times over (or you know, their dad will sue you and all): they are the premier tag team in PWR. While there's certainly tons of braggadocio behind this claim, you cannot deny the Kool Kids of Katips have been able to net a plethora of success ever since making their debut as a team. And while the door on the Tag Team Championship picture may closed on them for the meantime, another one has opened in a big way. 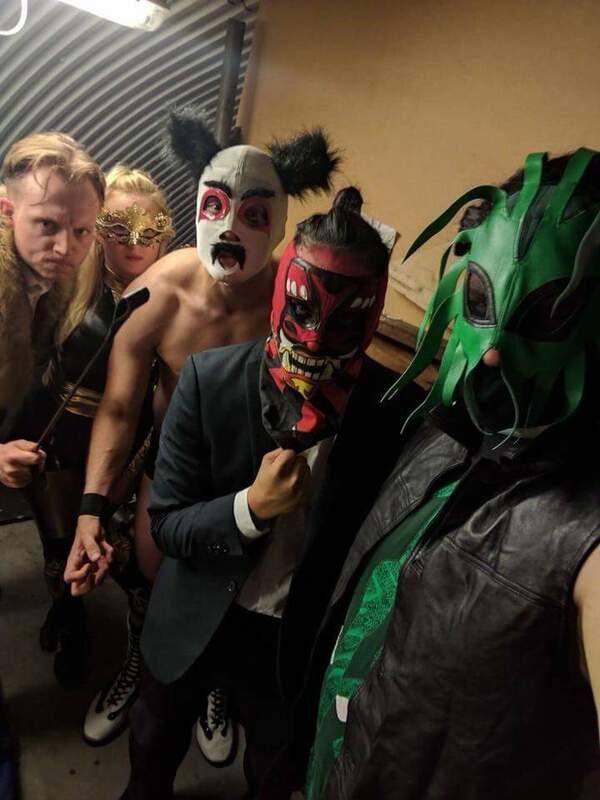 A video message was sent to PWR from Tarquin's Regime of the England-based London Lucha League (or Triple L), with Tarquin stating that he is sending two of his top guys from the faction, Dr. Hertz and Tengu, at Vendetta with evil intentions of making their mark on Philippine soil. This resulted in PWR management making a match at last month's PWR Live: Oktoberplex between the Twins and the fan-favorite Punk Dolls to decide who will take on the invading tag team. After a screwjob from Crystal on the Dolls (again, another story for another time), the Twins secured both the win and the right to compete in this international showcase against The Regime. With Tarquin as the mouthpiece and namesake leader of the group, he has led his fellow members, Tengu, Dr. Hertz, and The Kraken, to great success. In fact, Tengu is the group's crown jewel as a former Triple L World Champion, having won the title at Triple L SummerWHAM not too long ago, which already speaks volumes about the level of competition he will bring to the table. Hertz, on the other hand, is a basher who's as psychotic as they come, touting his Spinal Treatment powerslam as a vicious tool to gravely decimate his opponents. While The Kraken is normally Hertz's partner when it comes to tag matches, it seems like they are ready to bring the big guns to PWR by opting to bring a former world champion to PWR. And who knows, maybe they have gold in their sights. The one thing we can be definite about in this match is that there will be much uncertainty and unfamiliarity between the two teams. Considering this is the first time in PWR history that an international tag team will be making an appearance, and the fact that the international team in question will be facing one of the best tag teams PWR has to offer, this match may very well swing either way. But given how athletic and dynamic both tandems are, especially if the videos of the Regime in action are of any indication, we are bound to see one hell of a tag team extravaganza. However, there is one vital X-factor in the match: the DPT of the Twins, Ken Warren. Ever since the trio formed an alliance at Wrevolution X, they have become a force in their own right in their bid to hold both the PWR Tag Team and PHX Championships early in the year. While Warren may be currently out of action until the end of the year, it's not far-fetched to see the Social Media Sinister accompany his millennial pals for this historic match. And lest we forget, it was Ken Warren who provided the much-needed distraction that helped the Ollores brothers win the Tag Team titles in the first place. That is, unless Tarquin decides to bring in a surprise personality to counteract Warren's out-of-the-ring antics. As it stands, both teams have a legitimate chance of winning given the circumstances and variable of uncertainty. But unless the Regime finds a way to neutralize Ken Warren, it may end up in the favor of Yohann & Logan Ollores. One thing is for sure, however: the fans are the real winners of this match for being able to witness an international tag showcase like no other. Winners: The YOLO Twins via Warren-ference. Directions to Power Mac Center Spotlight can be found here. Photos by "Hela" Hub Pacheco, "Mrs. Ruthless" Jacky Rosales, The Regime, and the Philippine Wrestling Revolution.